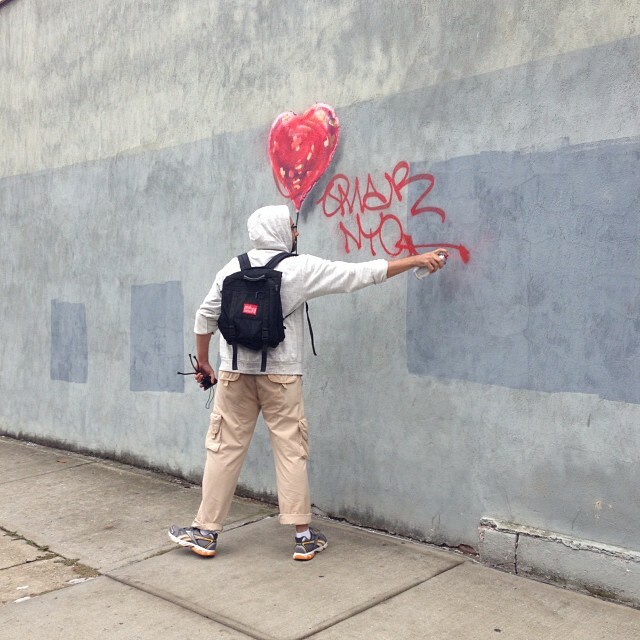 After releasing a provocative video (seen directly below) for day #6 and a mobile waterfall truck for his day #5 of his Better Out Than In project in NYC, Banksy is continuing this event with a new street piece. 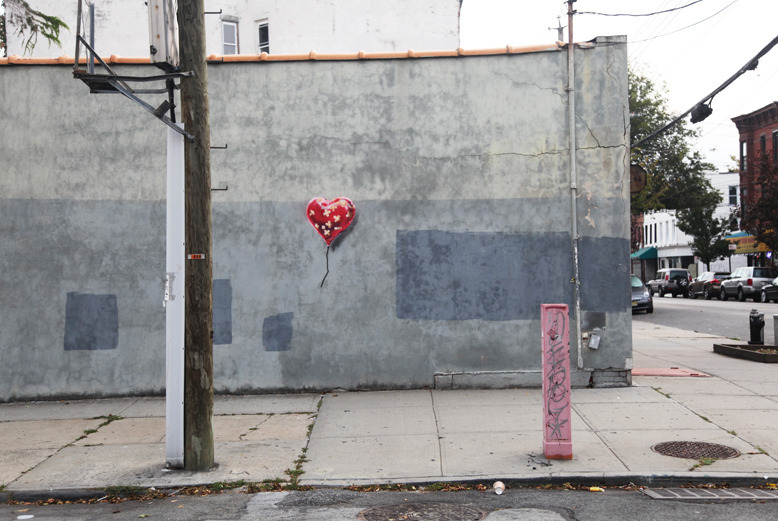 For day #7 of his NYC residency, Mr. B revealed a fresh piece showing his infamous balloon heart. 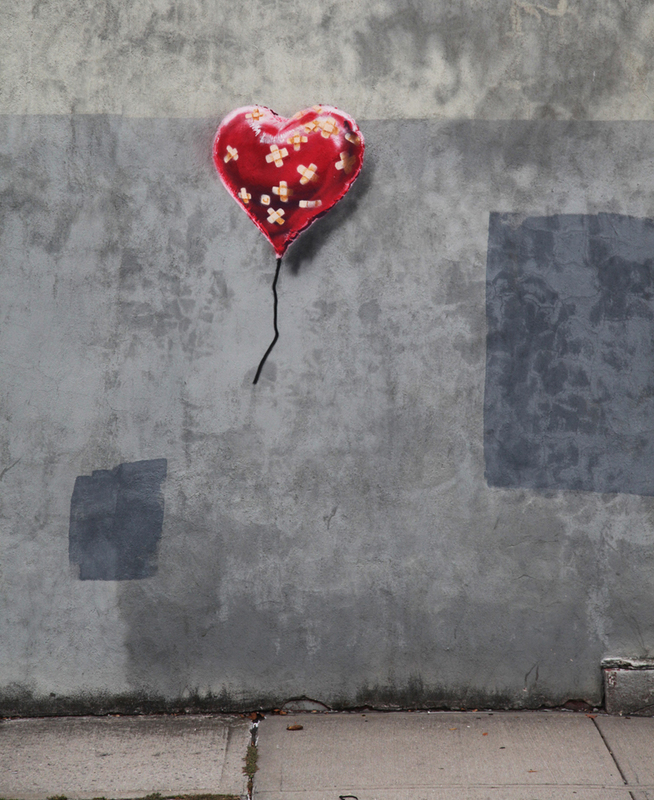 The image of the girl with a balloon heart flying away from her is one of his strongest, and most recognizable pieces, and it is obviously a special one for the artist as it keeps evolving and changing in different environments, situations, and states. Aside from obvious scars and bandaids from its previous adventures, the balloon (seen in Brooklyn) is becoming more detailed with the use of more colors, more layers, and a more precise shade effect. Sadly, only few hours after its revealing, the piece was already getting its first taste of the hard life on the street and has been tagged over. Categories: Features, Seen on Streets, Shows & Events, Street & Urban Art. Tags: Banksy, Better Out Than In, Features, New York, Seen on Streets, Shows & Events, Street & Urban Art.